How to tell if it is in fact a division problem. 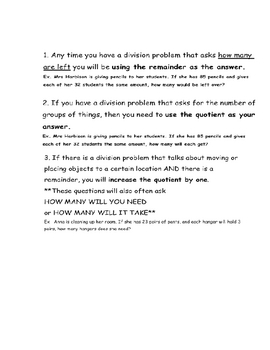 Division Word Problems - Interpreting the Remainder is licensed under a Creative Commons Attribution-ShareAlike 3.0 Unported License. My students had great success after we focused on a problem solving lesson using these strategies. Check out my multiplication and division word problems too!!! !